May I present the Kalimar Zoom 35-55mm, yet another one dollar thrift camera. 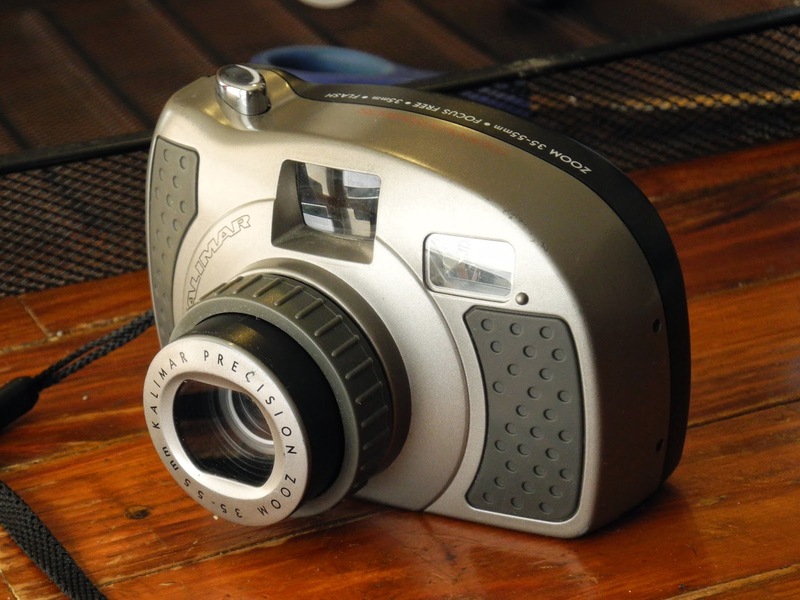 This slick looking plastic wonder sports a 35-55mm Kalimar Precision zoom lens and a built in flash. Its unique look makes it one of the most stylish of my plastic camera collection. Other than the flash, there is no exposure control, so the camera relies heavily on the latitude of most color print films. The shutter sounds like is fires at around 1/100th of a second and I am guessing the fixed lens aperture is f11. The lens is fixed focus or "Focus Free" if you prefer, and seems to have a focus range of 4 ft to ∞, zoom range is 35-55mm neither very wide angle or telephoto. Exposure System: Fixed shutter speed assumed 1/100th Fixed aperture f11? Images from this camera to follow soon.